The Arrival of Amazon will inevitably alter the Australian retail market. So, what does it mean for local retailers and how do we respond? For the full conversation on this topic follow the link here. Amazon changes the game. With a focus on product service, low price and high speed, the online retail giant is tough to compete with. Yet despite the threat that the company has been to retailers in every market it has entered, it also produces an array of opportunities to be leveraged. Either way, local retailers need to respond. Today, we discuss the perception of Amazon’s arrival and whether it should be viewed as a threat, opportunity, or a little bit of both. According to research conducted by Commbank, Australian consumers are eagerly awaiting Amazon’s entry in the local market, with almost 70 percent likely to purchase from the online platform (November 17). This is a daunting statistic. 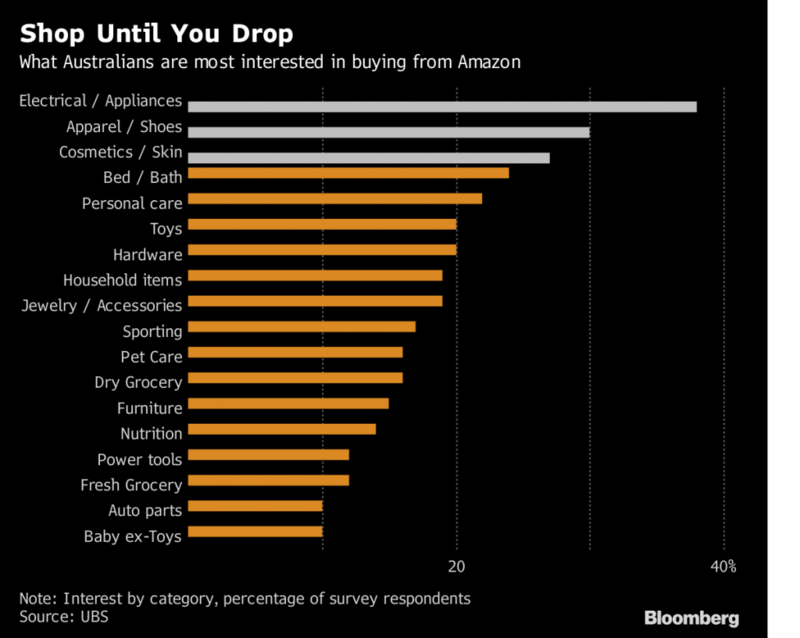 That’s 70% of Australian consumers expecting to at least try Amazon, instead of a local retailer. That sounds like a substantial threat to me. The reason for this is the changing purchasing habits of consumers, and Amazon’s unfaltering desire to meet them. People today want the products they want when they want them at an affordable price the cheapest price they can possibly find. An inclination which is met by Amazon’s proposition of product service, price, and speed. Amazon provides the largest threat to multi-brand retailers such as department stores as they are left to compete predominantly on price. Which compared to the international online retailer will in most cases be a losing battle. Despite this, Amazon also provides several opportunities that local retailers may wish to consider, ones which will be most significant for small to medium-sized businesses. The first of which is the Amazon Marketplace. This is where Amazon stores another company’s products in its fulfillment centres and packs and delivers them to its customers. This offers a completely new channel to market, which every brand and retailer should be reviewing and deciding whether to pursue. For smaller businesses that have in the past operated on e-commerce platforms but struggled when it comes to logistics and delivery, this may be the perfect answer. In the same way, Amazon will provide smaller businesses brand exposure they otherwise wouldn’t have. Brands that partner with Amazon will be exposed to a larger market that may not even know that they exist. Yet end up purchasing their products due to the trusted retailer. The title of this post is quite misleading, as any threat provides an opportunity to think differently and grow in new ways. Unfortunately, most Australian retailers (78 percent) don’t have a strategy in place to combat the global retail giant, according to Commonwealth Bank’s latest Retail Insights research (2017). This is what is going to need to change, quickly. There is always a new way of doing things, and a new way to differentiate and serve customers better. So maybe this threat is the perfect storm that will allow retailers to take the next step in innovation. Over the next couple of weeks, we will be talking about how you can see this threat as an opportunity to grow, develop and do business better. We will be talking about topics such as value proposition redevelopment, customer experience analysis and overall business strategies that will allow you to survive and thrive. But before we finish, here is one extra thought. The opportunity to supply Amazon with your products and sell through them as an intermediary may be a threat in itself. Yes, it may provide short-term sales as mentioned above through brand exposure. Although may it also result in a downturn in brand recognition in the long term? Will it brand washed out in the tumble cycle that is the Amazon washing machine?